Betty Sue Lynn Culpepper was born on June 01, 1934 in Fort Smith, Arkansas to Robert and Edith Lynn, and departed this life on September 03, 2018. Betty was a daughter, sister, cousin, aunt, great aunt, a wife, mother, grandmother, and great-grandmother, as well as a wonderful friend to all who knew her. She was a service to our Lord Jesus Christ for much of her life. 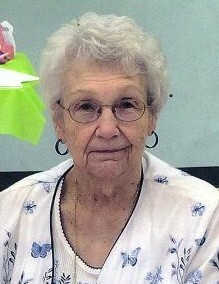 Betty graduated from Pascagoula High School in 1952. She leaves one brother, Robert (Bobby) Lynn of Pascagoula, MS. Betty was married for 66 years to William J Culpepper. Together, they had four children, eight grandchildren and one great-grandchild. Betty is survived by her children: Joel (Nancy), Clayton (Renee), David, and Delesa; grandchildren- Adam Wesensten, Ryan Culpepper, Brandon Walters, Ashton Walters, Joel (JoJo) Culpepper, Cristena Culpepper, Dalton Culpepper, and Gabrielle Gomez; great-grandchild-Kayden Culpepper. As Jesus welcomes Betty home with open arms: He says to her, "Well done good and faithful servant." Her prayer for all her family and friends is that: "They all come to know Jesus as their Lord and Savior."